Tuesday is the feast of Our Lady of the Holy Rosary and it gives to the month the special character of the consideration of the life of Jesus and Mary through the praying of the Rosary. The feast day and this entire month recalls the intercession of Our Lady at a crucial moment in European history. 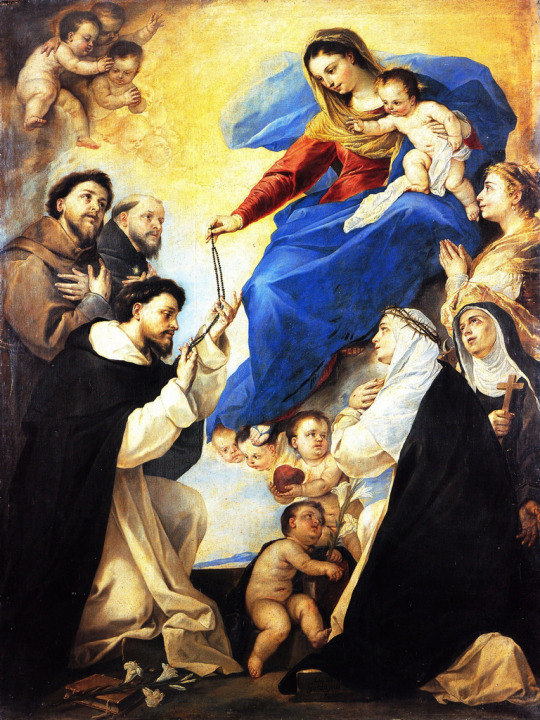 In 1569 Pope St Pius V asked the Church to join in praying the Rosary to invoke the intercession of the Mother of God for protection against the incursions of Islam. On 7th October 1571 — at the naval battle of Lepanto — Christians won victory over the invading Turks who were threatening Christian Europe. As a result of this victory a special feast was established in thanksgiving and in perpetuity. We can renew our faith in the power of the Holy Rosary at this time, and through this simple and effective prayer, continue to work for the re-Christianisation of our continent. As individuals and families let us make a resolve, at this critical time, to offer the Holy Rosary for the needs of the Church and our Country. It is a joy and grace to know that the Rosary is prayed daily in the church after Holy Mass. This weekend is our annual Mission Appeal. We welcome Mr Nicholas Hinde to the Parish from the organisation Survive-Miva who will speak at the end of the Masses about this UK-based lay Association that funds transport for the Church’s health and pastoral work in remote and under-developed parts of the world. This is obviously an important cause and it is their first Appeal in our Parish. Our practical help and prayers will make a concrete difference to the spreading of the Faith in these far away regions. God bless you all!